The Jade 6 is a condo inspired by urban-style living and designed for professionals, couples and young families looking for a 1 or 3-bedroom home. Featuring open concept living and dining room spaces, modern kitchens with cabinets to the ceiling and convenient laundry rooms, this condo model is a popular choice for renters looking for a spacious and well-designed home. 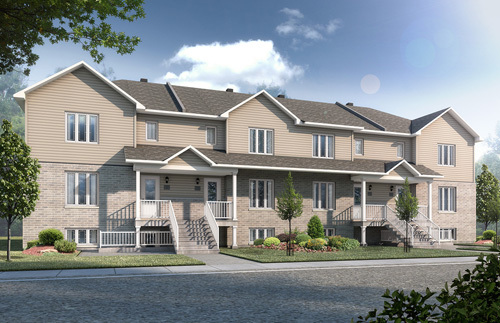 The Jade 6 is a 6 unit condominium block with individual exterior entrances, private backyards and exterior parking. Our condo models have been designed for comfort and peace of mind. Second to none, we employ the most advanced methods of soundproofing between homes. Living in a Jade 6 condo model will provide you with quiet enjoyment and peace of mind that you would expect from a well-designed condo model.